2015 – 2016. Switch to Full Screen by clicking the cross on top right corner of the map. So that is our circumnavigation completed around the perimeter of the United States. 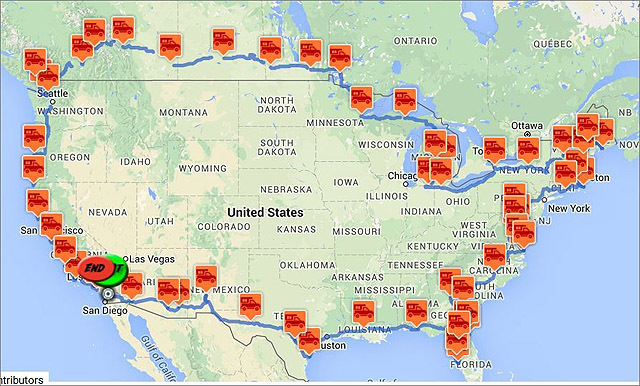 The official distance is about 12,100 miles but with deviations and tourist trips we managed to cover 17,893 miles.